Have A Friend Who Needs This? I’ve never seen such devotion in a droid before! This little droid cares about his master so much that he’s willing to measure ANYTHING you ask of him. Even the height of your toilet. 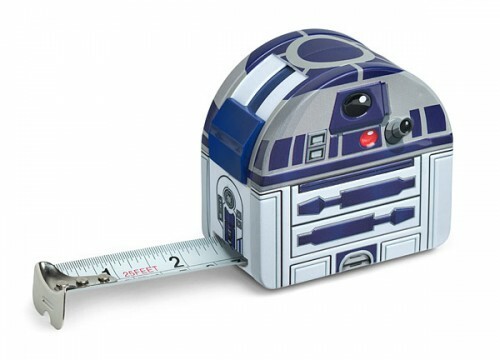 But even if you don’t need the height of your toilet measured, this R2-D2 Tape Measure will prove very useful around the house or would make the perfect gift for the handy Star Wars fan in your life! Plus, you can score a free Maz Kanata pin with every $50 order at ThinkGeek right now! Use code DONTSTARE at checkout.